I have to admit, it's been a minute since I've actually gone to the drugstore (sorry Shoppers) and it's actually a little sad. 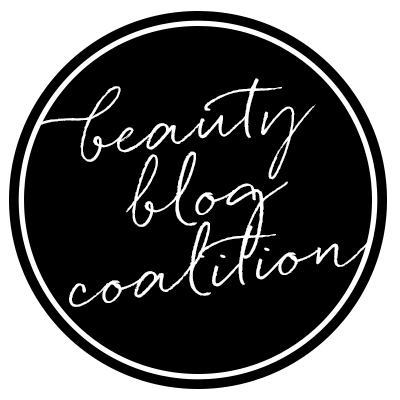 I mean, the drugstore can be a glorious place for new beauty and a great way to play around with formulas, colours, and products similar to the bigger (and pricier) brands without feeling too terrible if they end up being duds. 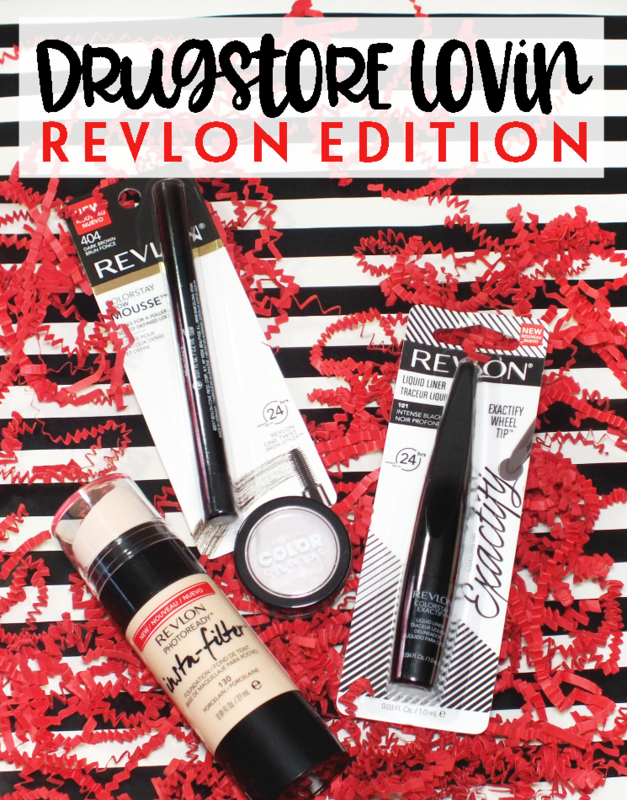 Revlon has quite a few new releases hitting shelves, and I have to say, not a dud in sight. 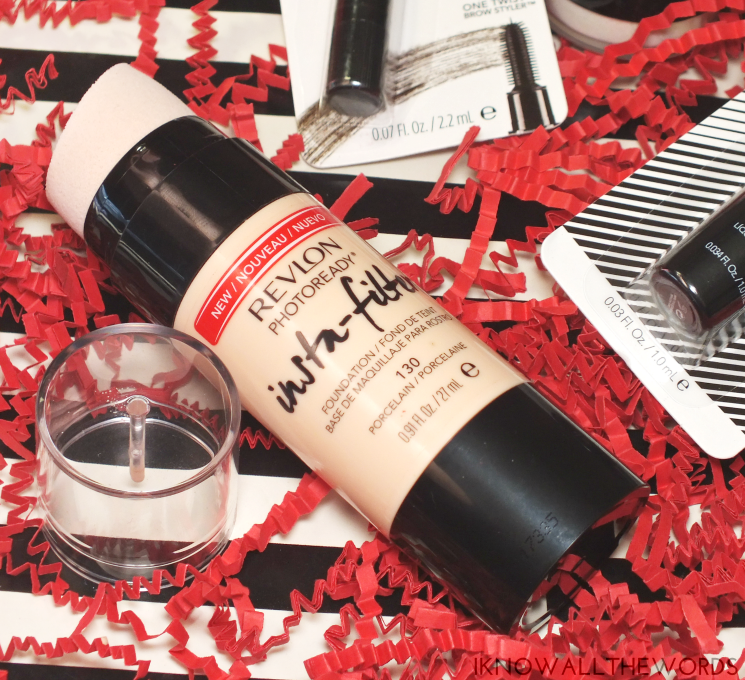 Drugstore foundations can be iffy, but Revlon has a fairly good track record when it comes to wearable formulas. 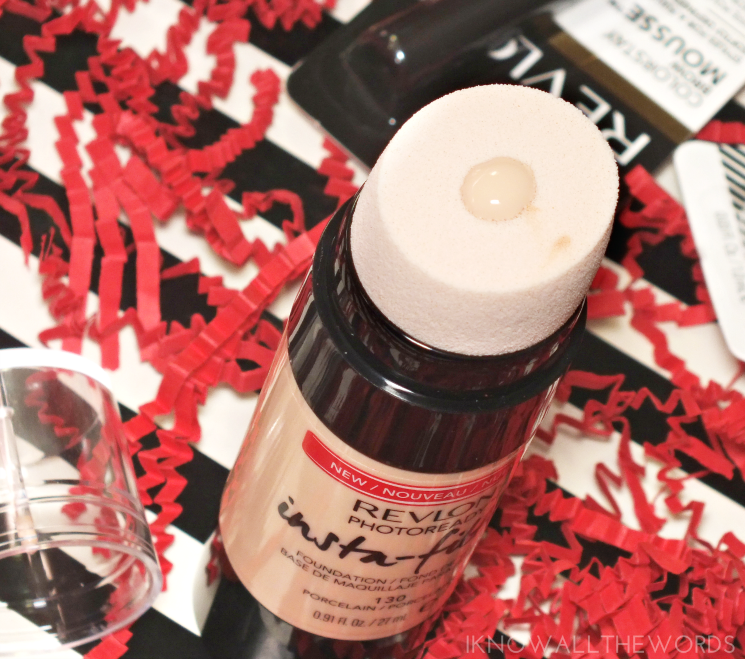 With that, I was game to give their PhotoReady Insta-Filter Foundation in Porcelain a try. Firstly, it should be said that the shade range isn't huge. With only twelve shades available and the bulk of those shades being more suited to light and medium skin-tones deeper tones may struggle finding a good match. So, before we get into the goods, a few potential cons... Firstly, this is definitely on the pricey side for drugstore foundation, especially when you consider that the bottle is a bit smaller than your average. Secondly, the application sponge is attached to the bottle and from what I can tell, does not come off. I ended up liking the sponge, but I do wonder how you are supposed to clean it? As for the formula, I was very impressed with it! It promises medium coverage and a 'high-def filter technology to capture and transform light to blur and soften flaws'. 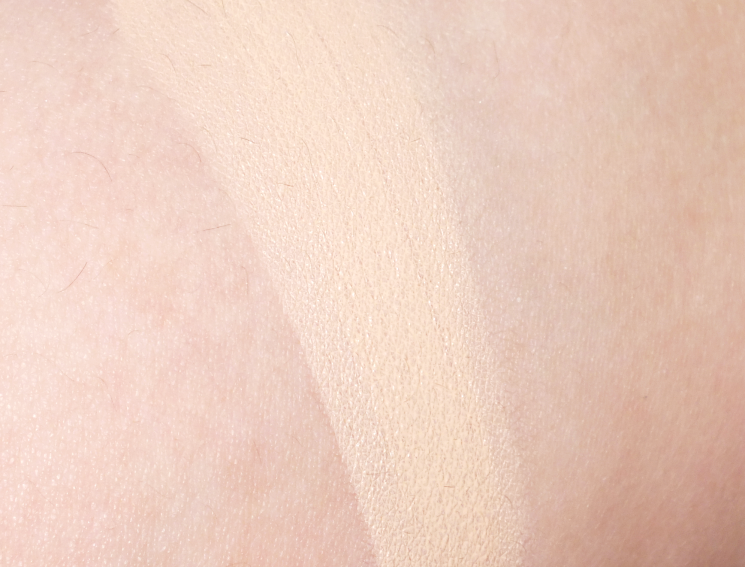 Coverage was lighter than medium, with a natural skin-like look but it did look brightened and perfected. In testing, I applied this on bare skin (no primer, no moisturizer applied before hand) and was impressed with how this adapted on my drier skin and areas with larger pores. The liquid formula seems to be lightly hydrating as my skin didn't feel dry and no dry patches wore through. The only downside I found was that this didn't wear as long as it could have, and faded quite a bit by the middle of the day. 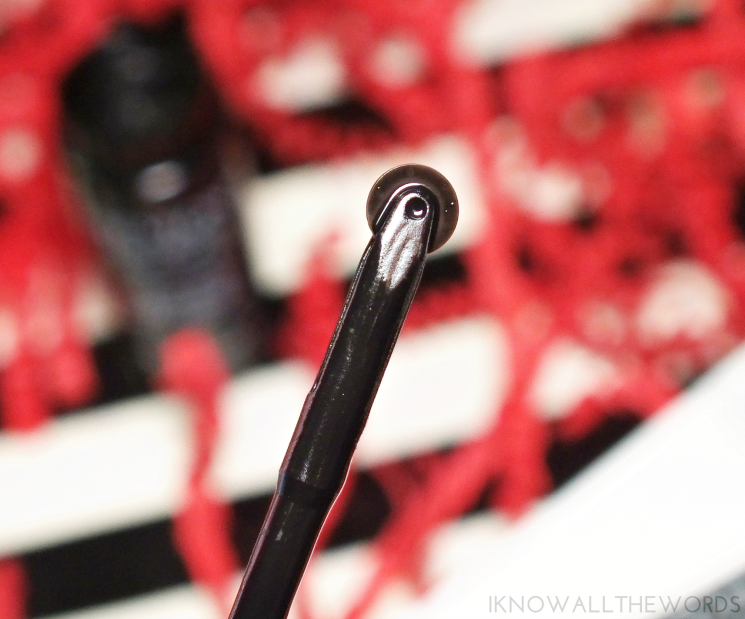 Liquid liner has seen gimmicky applicators come and go in attempts to make the perfect wing easier to perfect. 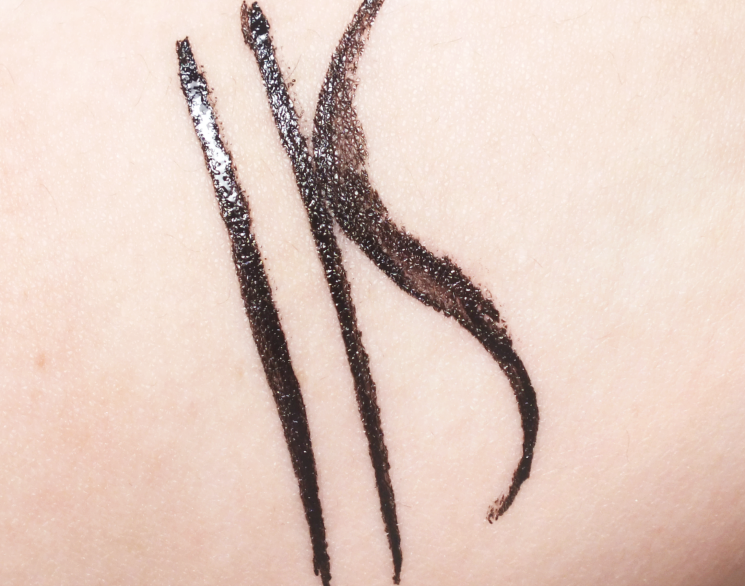 Most fall short, but after trying the pizza cutter-esque ColourStay Exactify Liquid Eyeliner, I'm kind of a fan. The tiny wheel rolls the product on, and while it feels quite weird at first (and wet) the liner formula and wheel work quite well together. At first I found I had to go over my lines to keep them crisp and clean, but after a little practice, it was smooth and easy to create a lined eye and crisp wing. Intense Black is a perfectly deep black with a glossy 'vinyl' finish and impressive waterproof, fade and smudge-proof 24-hour wear. Now, I didn't wear my liner that long, but my arm swatches stayed on through a day and a shower but do remove easily with makeup remover. 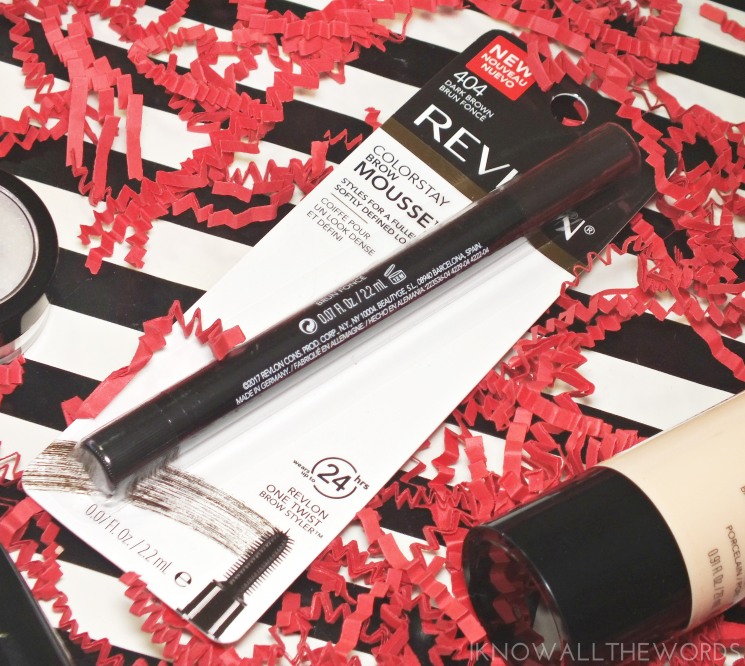 I tend to opt for drugstore brow pencils because they are one product that is so easy to fly through quickly. The prodblem is they are certainly not all created equally. 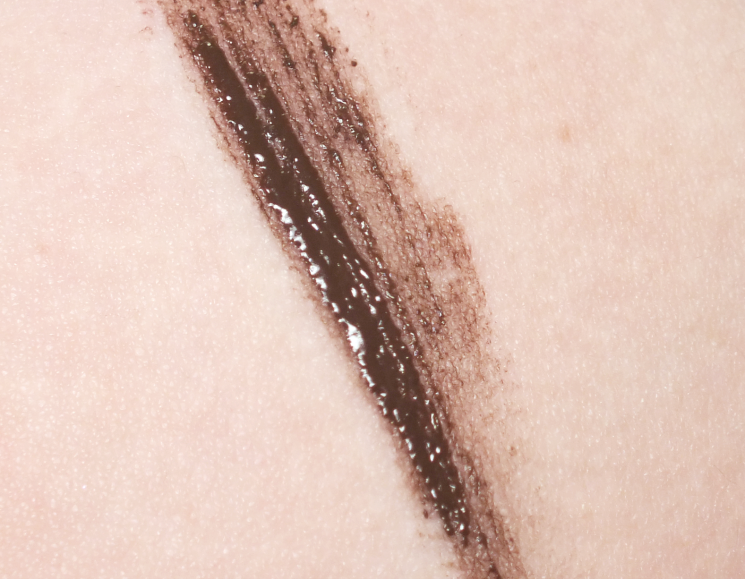 The ColourStay Brow Mousse is a unique product, as it combines a brow setting gel with a filling, coloured product. 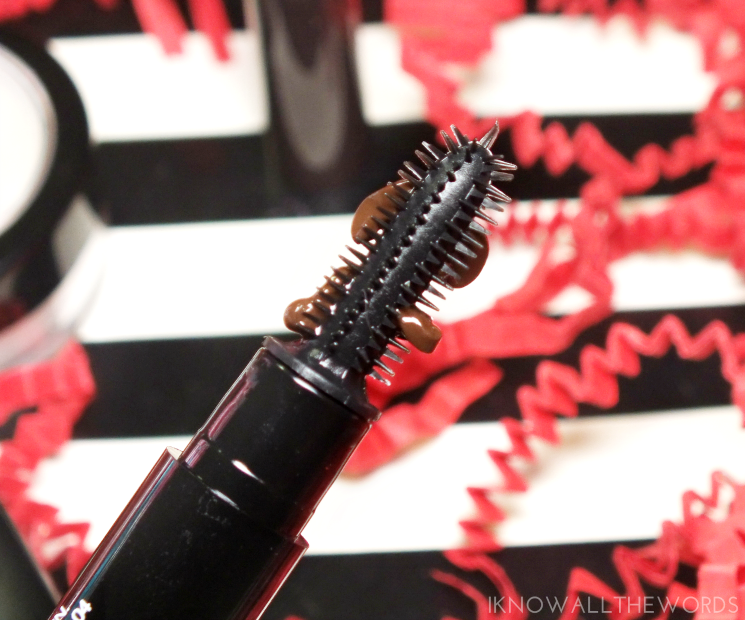 The mousse is dispensed through a slim silicone-type, spiked brush which you run through your brows. The brush is a bit large for precisely filling in tails, but the mousse is easily wiped off skin before it sets. Once set, the mousse has a waterproof, long-lasting finish. If you only need a little filling and setting, this will work well on its own, but I prefer to define / shape my brows a bit with a pencil first, then apply this as a setting product and love the effect. It sets to a natural, but in place finish and works to lock down whatever product I use under it. 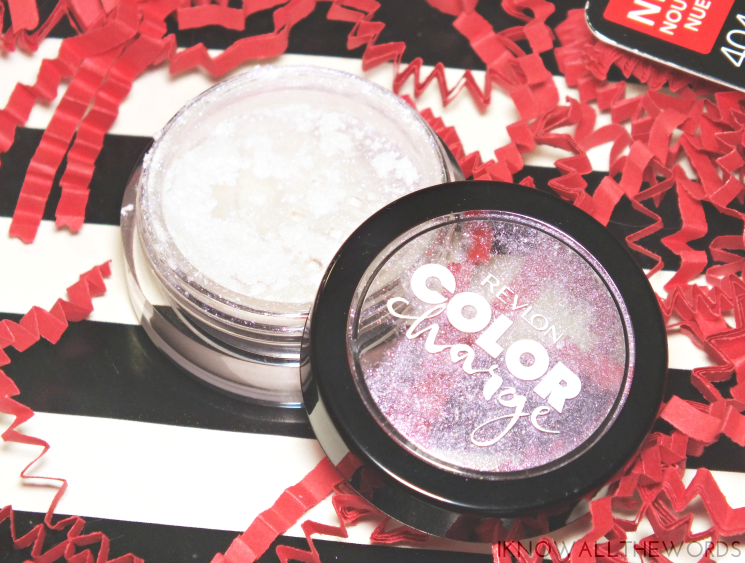 Lastly, a fun little multi-use product from the new limited edition Colour Charge Collection.The collection features eleven products and a bevy of shades, but the Colour Charge Loose Powder in Holographic is set to be quite popular. Now, it is a gorgeous shimmery powder, but doesn't quite get to holo. It's more like a pink-purple duo chrome, but adds a great pop just about anywhere you want to glow. 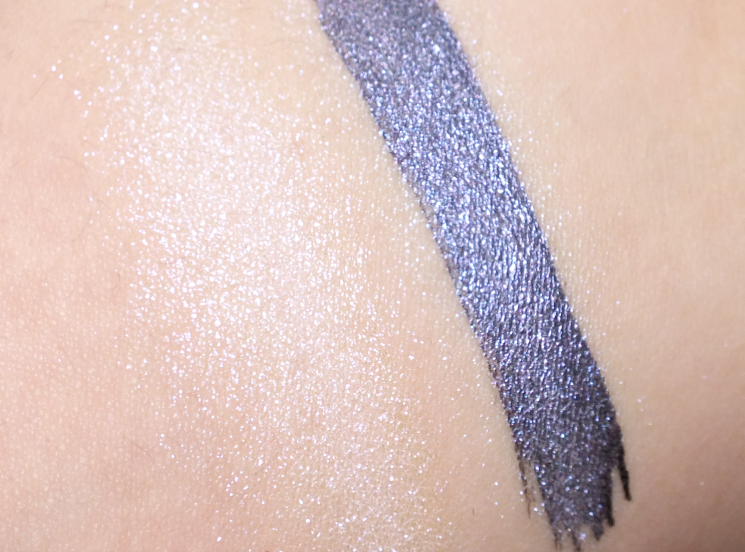 The formula works best over a glitter base on eyes, or over other shades (shown over black) but also works as a highlight on face and body. 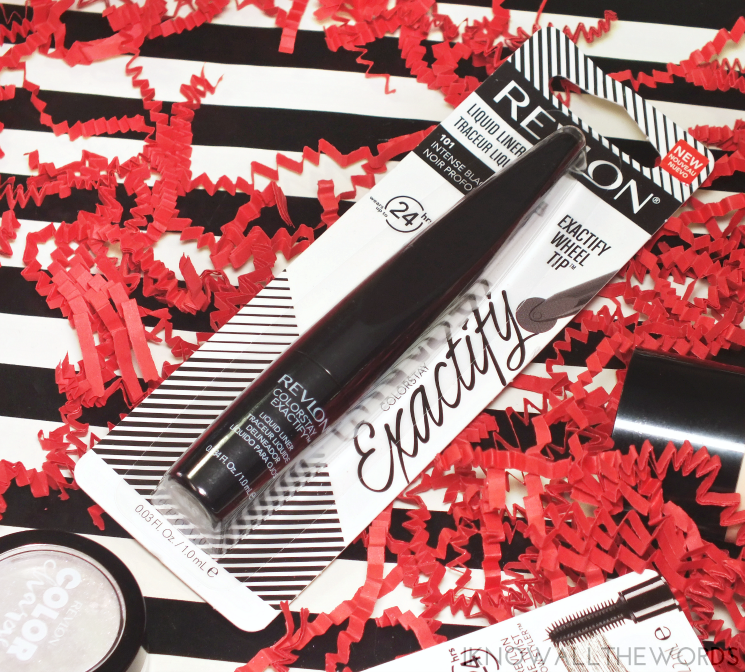 Considering I wasn't expecting to be wowed by some of these products (I'm looking at you foundation and liner) I've been really pleased with these Revlon products. Have you tried anything from the brand lately? What are your brand must-haves?